Modern companies rely on certified solutions like RSSBus Connect for secure document and messaging flows to automate all kinds of A2A and B2B processes. There are many options for installing such a solution, from inside a corporate firewall, to inside a company's DMZ, to a hosted installation. If you wish to install RSSBus Connect within the corporate firewall, the Cloud Gateway feature allows you to generate a publicly accessible endpoint through a reverse SSH tunnel to a publicly accessible SSH host, protecting the machine(s) hosting RSSBus Connect behind the firewall. This article walks through configuring the Cloud Gateway on RSSBus Connect and demonstrates connecting to RSSBus Connect externally. In order to establish a reverse SSH tunnel to RSSBus Connect, you will need to have or create a hosted (or web-facing) SSH host. Client applications and devices wishing to connect to RSSBus Connect need only know the public address of the SSH host and the port used for incoming traffic being forwarded to RSSBus Connect. The next step is establishing the reverse SSH tunnel. The following instructions are for Windows. Refer to the Help documentation for configuring the Cloud Gateway on the Java version of RSSBus Connect. Right click RSSBus Connect icon in the system tray and select Server Options. Navigate to the Cloud Gateway tab. Click to enable the Cloud Gateway. 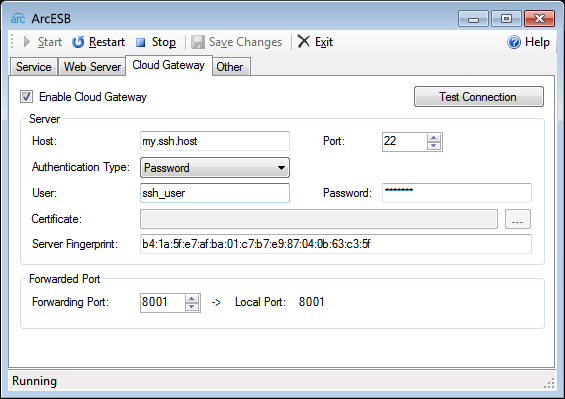 Set the host and port values for the SSH host, as well as selecting an authentication type and entering the appropriate credentials. Click the test connection button to confirm your connection to the SSH Host. 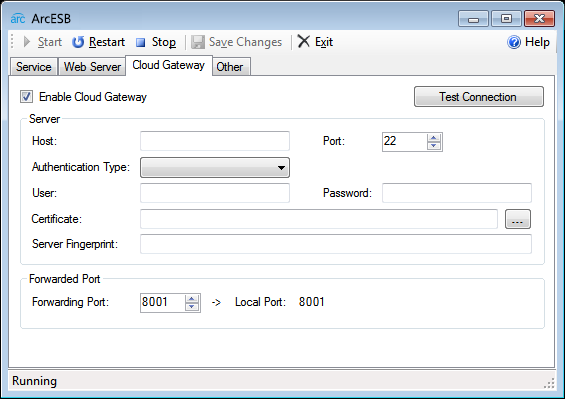 With the Cloud Gateway configured, you can now connect to RSSBus Connect through the Cloud Gateway. To do so, simply have the client/trading partner send requests to the SSH host, specifying the port to be used for forwarding. Those requests are forwarded to RSSBus Connect, which then processes the request and responds accordingly through the tunnel to the client. Connection management for SSH tunnels is typically handled manually or by 3rd party software. 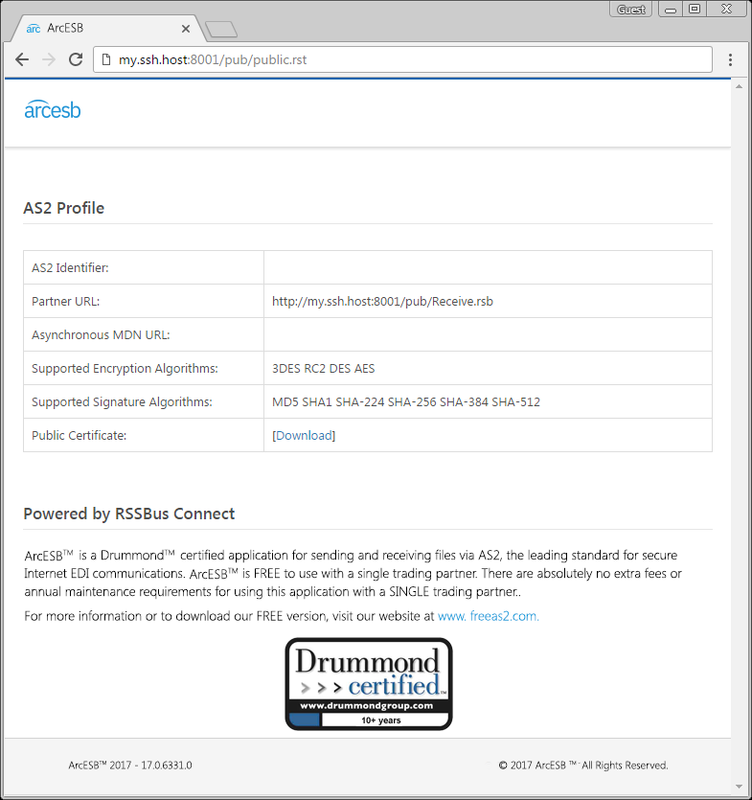 The Cloud Gateway for RSSBus Connect has built-in functionality that will manage your connection automatically. If the connection is lost for any reason, the Cloud Gateway will attempt to re-establish the connection. Download the free, single-partner version of RSSBus Connect to start connecting to an EDI/MFT solution externally through a reverse SSH tunnel. As always, our world-class support team is ready to answer any questions you may have.